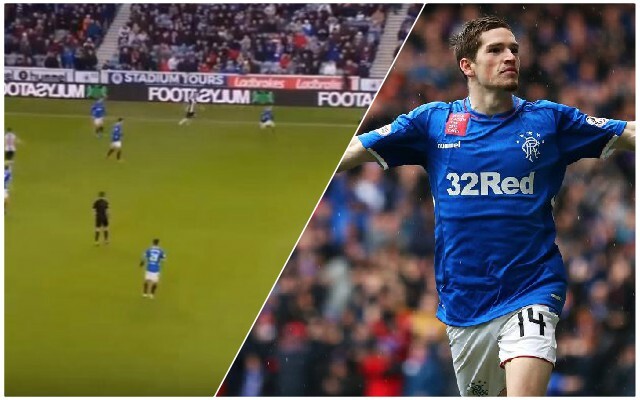 Steven Gerrard’s Rangers side beat St Mirren by four goals to nil at Ibrox yesterday, with Liverpool loanee Ryan Kent scoring the final goal of the game. The result put Gerrard’s side within three points of Brendan Rodgers’ Celtic, but the league leaders have a game in hand against St Johnstone on Sunday afternoon. Kent has enjoyed a good time under Gerrard so far in Glasgow. He impressed in the derby against Celtic earlier in the season and Rangers supporters have been able to see him progress as the campaign has gone on. You can watch the goal against St Mirren by clicking here. Whether Kent has a long-term future with the Reds appears to be unlikely, but he could well have done enough to earn a permanent move north of the border. At the age of 22, he probably would be ready for that, and having notched five goals and three assists in 15 Scottish league games this season, the club are likely to be keen on a deal too.